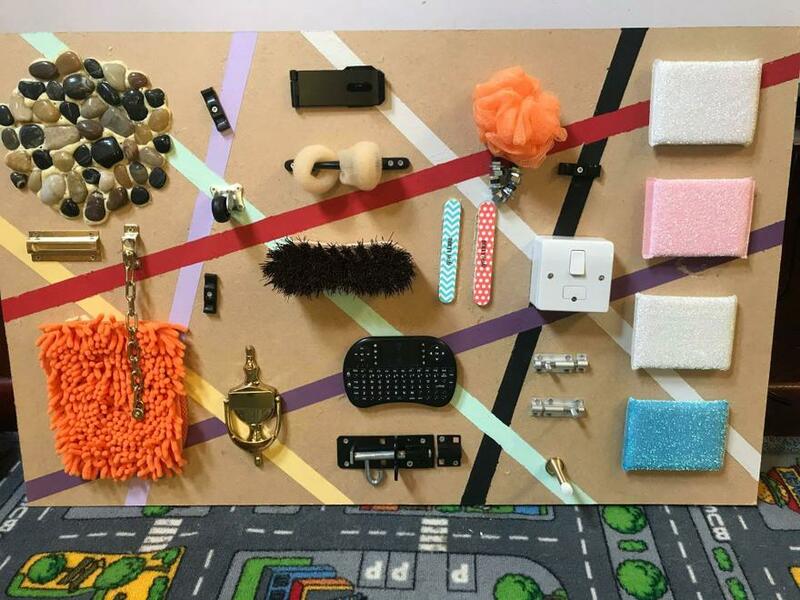 A huge thank you to Charlotte, from Kempshott Under Fives, who has created this wonderful sensory board for us over the summer holidays. This new board is a wonderful addition to our resources at Kempshott Under Fives - the children love exploring the board and these type of sensory experiences are vital for young children's brain development. Sensory play stimulates children's senses which strengthen neural connections necessary for all areas of a child's development. Exploring through touch helps children start to gain more knowledge about the environment around them and learn more about the world. A sensory board can also help fine motor skills as children coordinate their movements to feel the different materials. This also helps children to gain a sense of themselves as they begin to develop preferences to which textures they like and dislike. A sensory board can help children learn new words as you use words to describe the different things they are feeling.